The incompetence of the Labor government is illustrated by Central Queensland University, writes Ross Fitzgerald. Then acting federal education minister Mark Arbib said the Commonwealth government was ”determined to address the decline in regional student numbers” and would work with the university and the state government ”to strengthen higher education in Central Queensland”. Fast-forward to 2013 and we find Central Queensland University is again in trouble and its four capital city mini-campuses are chasing Australian domestic students in Melbourne, Brisbane, Adelaide and Sydney. In 1990, the well-respected and profitable Capricornia Institute of Advanced Education became Central Queensland University. With Rudd and Gillard Labor seemingly asleep at the wheel, it now has operating losses that total well in excess of $50 million. It is little wonder that Campbell Newman’s LNP government in Queensland is wary of promises of rivers of gold from federal Labor. The reality of Labor’s incompetence is that Queensland’s state Minister for Education, John-Paul Langbroek, has been left to do what he can to clean up the mess. By the time Langbroek had got the Queensland Treasury auditors into Central Queensland University, federal Labor’s unwieldy Department of Industry, Innovation, Climate Change, Science, Research and Tertiary Education had already lost the plot. As a result, Central Queensland University signed new leases on capital city premises and shifted the capital city staff of the former C Management Services into Central Queensland University. This effective bailout of the private company established to teach international students meant that CMS staff won a large pay rise as they shifted from private-sector pay rates to the much more generous public-sector pay rates that Central Queensland University had ”negotiated” with the National Tertiary Education Union. With Campbell Newman’s Queensland Treasury audit completed, Langbroek had no other prudent choice than to support an immediate round of staff redundancies, while holding back on proceeding with a long-mooted proposal to merge the Central Queensland Institute of TAFE with the university. Langbroek is sensibly holding back because he is far from persuaded that joining together two Labor financial basket cases to make one even larger basket case is any solution at all. For all Australians, the antics of Central Queensland University sound a warning bell. Our universities worked hard to clean up the excesses that flowed when entry to an Australian university degree was used as a thinly disguised back-door route to working in Australia and to Australian citizenship. Today our universities are working hard to maintain standards – with tightening budgets. A struggle made yet harder by the latest ill-conceived Gillard government cuts to higher education. The last thing we need is a race to the bottom with under-resourced degrees offered to Australian students in the rented premises of mini-universities in our capital cities. In time, the Tertiary Education Quality and Standards Agency will catch up with them. But, as we saw with cleaning up the visa scams, by then much damage will already have been done to the reputation of our universities and higher-education sector. This is not only important to our value-added educational export sector, it is even more important to all those Australians who do the hard yards of obtaining a university degree. As we saw with shonky degrees for visas scams, when government drops the ball, all of us pay the price. Inheriting state and federal Labor’s incompetence in further and higher education is the backdrop against which Campbell Newman and John-Paul Langbroek received Labor’s Gonski promises for better schools. It is, therefore, more than understandable that they are not rushing to sign up. Rather, in spite of the political costs, they are engaged in a thorough analysis of the pros and cons of buying into a policy of this incompetent Labor government. Like the rest of Australia, Queensland needs all government policy and its implementation to show a due level of prudence. An evidence-based prudence that is essential to ensure sustainable investment in something as vital as education. It is an approach that Queenslanders and most Australians should welcome as a necessary return to sound governance after Labor’s reckless years. 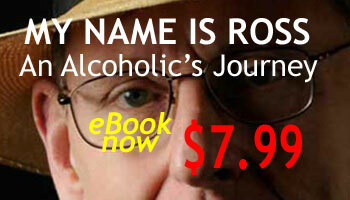 Ross Fitzgerald’s memoir, ‘My Name is Ross:An Alcoholic’s Journey’ is now available as an e-book. Now (Ross Fitzgerald, ”Unkindest cuts aren’t fiscal”, Times2, June 10, p4) it’s Central Queensland University giving a helping hand to university teaching and research in our capital cities. What next? Will Queensland need to send health workers and police interstate to help out too? Actually, we were serving the interests of Central Queensland’s regional students. Let me explain. When Geoff Wilson was vice-chancellor back in the mid-1990s, he developed a strategy called ‘Vision ’97’. The idea was simple – convert what were then first-year-feeder- regional-study centres for the main campus at Rockhampton into full campuses so that they could better serve their communities. In order to do this, he needed to raise funding, and entered into a partnership that would become Campus Management Services which ran metropolitan campuses servicing international students. This was a tremendously successful move that paid strong dividends for more than a decade; we were leaders in the international field, winning many export awards and being encouraged by governments into more capital cities. CMS fed millions of dollars into the CQ region between 1997 and 2013, and this money was used to develop full campuses at Bundaberg, Mackay and Gladstone. While the metropolitan campuses will remain, CMS will be wound up on July 1, 2013 quite simply because changes to government student visa regulation, the high Australian dollar and overseas competition has resulted in a massive drop-off in international students. In the last few years, CQUniversity realised it was over reliant on the income from CMS for its domestic operations, and set about dramatically growing its domestic student cohort so its regional campuses were self-sufficient. While the domestic growth has been tremendous – indeed, one of the fastest growth spurts of any university in recent history – the international market withdrew more than anyone anticipated and the university has now been forced to adapt to changed financial circumstances. I am extremely proud of CQUniversity’s metropolitan campuses, and they will feature as strongly in the future as they have in the past. When the international student downturn arrived, CQU was the swiftest and most decisive to act. Our approach to visa-risk ranking led the sector. We reinvented the business model dramatically. We filled the temporary “empty space” in those campuses with domestic courses like medical sonography that were not being offered anywhere else, plugging a critical gap in the local health workforce and winning funding grants along the way. Our metropolitan campuses are already showing signs of recovery and we expect peak performance in two to three years. We wasted no time responding to the same challenges awaiting all universities. Furthermore, and despite the curious assertions in Fitzgerald’s article, the Newman LNP government has never “got the Queensland Treasury auditors into Central Queensland University” only to be left to “clean up the mess”. The Queensland Education Minister has never had “no other prudent choice than to support an immediate round of staff redundancies”. Nor is he withholding our merger with CQ TAFE because he isn’t confident of CQUniversity’s commercial prospects. These claims are untrue. The truth is I anticipate the merger will be signed very soon. The federal government has already begun the process of rolling out the $74 million funding it committed to the project. As you would expect, both the state and federal governments have been judicious in agreeing to what will be Queensland’s first dual-sector university, and in performing their due diligence (as have we). Both levels of government, along with the industries and communities have been eager to tie up the loose ends so the merger can proceed. Far from the picture painted by Fitzgerald, CQUniversity is a remarkable success story on the cusp of a new era. It has produced one of the country’s fastest growing domestic student cohorts over the past three years. Its ERA research rankings leapfrogged seven other universities last year alone. It has rolled out an $80-million capital works and new courses in the last 36 months – avoiding even a cent of debt. As Queensland’s first dual-sector university in a deal worth half a billion dollars, we will see its student numbers swell to 40,000. And it services a higher proportion of low socio-economic, rural/regional, mature-age, first-in-family and indigenous students than almost every other Australian university, with successful alumni that would make any vice-chancellor proud. I recently invited Ross Fitzgerald to a campus to show him what a thriving, vibrant contributor to our communities this university really is. I was surprised he went away with the impression that we were anything other than successful. Vice-chancellor Scott Bowman (”International student drop-off led to CQU reinvention”, Times2, June 17, p5) is a public servant, not a free-wheeling venture capitalist risking his own cash. The ”university dividends” he is risking are public funds and fees from domestic students underpinned by the public purse. Earlier this month VC Bowman announced the need for a further 250 or so staff redundancies and another CQU restructure. These are big cuts for any small university. Ross Fitzgerald (”Unkindest cuts of all”, Canberra Times, June 10, p4) rightly directed his criticism to the federal government. The federal government holds responsibility for ensuring the wellbeing of our university system. Ross and Scott agree that over the past four years the federal government has watched whilst CQU spent tens of millions of dollars of public funds on capital city mini-campuses to provide capital city-based domestic students with more choice. Ross has proposed an alternative: fewer universities but not fewer regional campuses (”Regional conundrum: slash universities, keep the campuses”, Times2, March 28) to address the underlying problem of too many chiefs and not enough Indians. I agree with him that, not just for central Queensland but across regional Australia, this is the way to realise former CQU vice-chancellor Geoff Wilson’s vision of stronger regional university campuses. Federal Labor remains silent. Is it too much to ask that Craig Emerson, Minister for Tertiary Education, Skills, Science and Research, pens his response in The Canberra Times? As Education Minister Christopher Pyne begins his higher education review, he will do well to reread Ross Fitzgerald’s piece in The Canberra Times, ”Unkindest cuts aren’t fiscal” (Times, June 10, p4). Yes, Caroline Perkins of the Regional Universities Network is correct to argue it is important for regional universities to enroll students in areas such as engineering and allied health because ”the easiest way to get professionals to work in regional Australia is to train them in regional Australia”. But Mr Pyne is unlikely to be convinced by this argument when RUN members such as Central Queensland University spend $1.36 million at its Melbourne mini-campus to install a sonography facility that includes Philips’ iU22 3D/4D technology to train allied health professionals in the Melbourne CBD. Mr Pyne will do well to follow Queensland Minister for Education John-Paul Langbroek’s approach to CQU’s dual-sector operation. He has restricted operation of CQU’s technical and further education activities to the Central Queensland region. Indeed, as Professor Fitzgerald advocates, it may be timely for Mr Pyne to remind the RUN that its taxpayer-funded jobs are in regional Australia and not our cities’ CBDs. Letter to the editor, The Canberra Times & The Sydney Morning Herald, September 30, 2013.